The Bioprocessing Pilot Plant offers fractionation and separation tools that are unique in Western Canada for production of plant natural products. 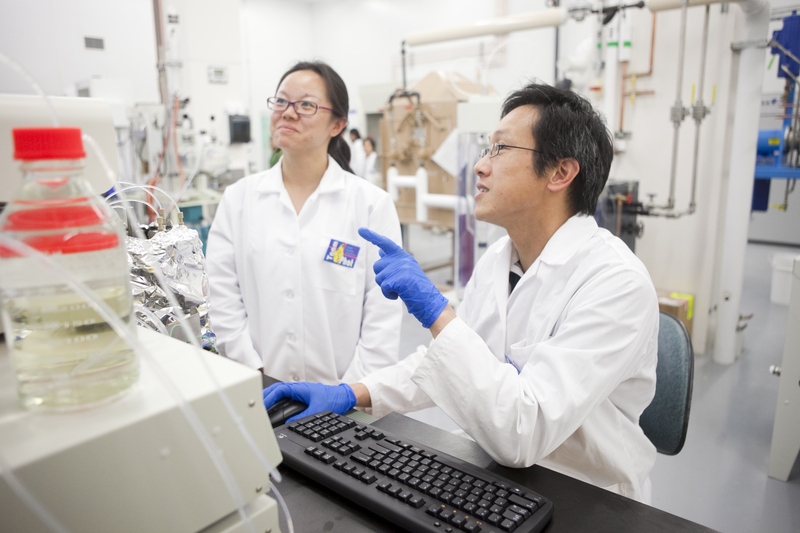 While teaching undergraduate and graduate students is a key activity, co-operative research and development with industry partners is part of the facility’s mandate. Research conducted in the pilot plant can be taken directly to industry for commercialization. With its ‘industrial scale-up’ tools, the pilot plant is the ideal facility from which many areas of crop utilization and pharmaceutical research can be supported. Potentially useful applications are in areas as diverse as foods, biofuels, new drugs, vaccines and nanomaterials. The bioprocessing pilot plant (BPP) is a research facility within the College of Agriculture and Bioresources. This facility houses industrial-grade scientific equipment designed to isolate and extract compounds from various plants and crops. Such compounds are further studied or applied in industry, such as biofuels, crop development and natural health products. The unique equipment in the BPP enables faculty and graduate students to conduct specialized teaching and research in areas including the design of new drugs and vaccines, food and bioproducts, human and animal health, among others. It is available for collaborative research projects and educational opportunities for colleges across campus as well as industry partners. The new integrated facility will help scientists and industrial partners to develop and enhance innovative industrial processing of agricultural materials. Research conducted in the BPP can be taken directly to industry where it can be commercialized.